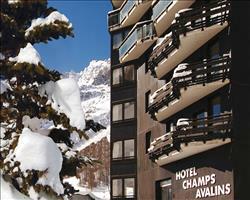 Chalet Cime is in the same building as Lodge in Val, one of the greatest Alpine destinations. Positioned just off the main street, the chalet is close enough to the action to make the most of this world class resort, yet enjoys just enough distance to find a little peace and quiet. The main lift station is an easy 500 metres (approx.) walk, or even easier - is to hop on the free ski bus which stops just 200 metres away. Accessed by a lift and then a private staircase from the third floor, the Chalet Cime offers four en suite bedrooms, complete with heated mirrors in the en suites, and plenty of space for up to ten guests. This catered ski chalet is situated within the same building as The Lodge and is the perfect choice for a family or a group of friends. Not only does this chalet come with its own private chalet host offering fantastic service but guests staying here have access to all the spectacular facilities The Lodge has to offer. These include the massage room with treatments payable in resort, a steam room, sauna and Jacuzzi, ski room with heated boot dryers, a large terrace and the charming Lodge bar. NB. The lift serves from the wellness level up to the third floor and the chalet is accessed by its private staircase from the third floor. Rooms 1 and 2 when occupied by 3 adults waive the supplement. If the extra bed is occupied by a child age 2-11 they pay half the adult full price. 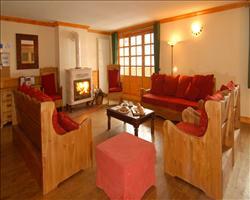 We update Chalet Cime's details often, but facilities do change. e.g. some extras listed by the supplier as "free" or included might only be for the first time you use them, or for one time per party, then charged for further use. If any specific feature is essential to your holiday, make sure you ask us to confirm the details of it before you book your holiday. This all inclusive holiday to Chalet Cime in Val d'Isere, France departs Saturday 14th March 2020, for a 7 night stay on a "catered chalet" board basis. A local tourist tax (Taxe de Sejour or Kurtaxe) is levied by many councils in European ski resorts. It varies by standard and type of accommodation and is age dependent, so not everyone is charged. It's not included in the basic price of your holiday and is usually paid locally. For reference, the average charged in winter 15/16 was between 50p and £2 per person, per night. Val d'Isere lift pass price last reported as €294 (adult 6 day). Ask for a quote when booking Chalet Cime. Xtra Chalet Champ... Val d'Isere France, Gatwick to Geneva 14th March. Chalet Maison Rose Val d'Isere France, Gatwick to Grenoble 14th March. 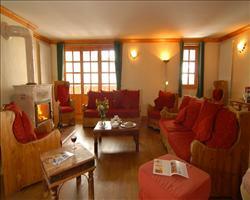 Chalet Lores Val d'Isere France, Gatwick to Grenoble 14th March. 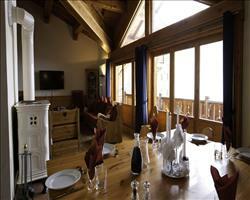 Chalet Val Rogoney Val d'Isere France, Gatwick to Grenoble 14th March. 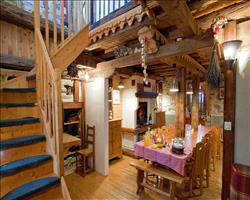 Chalet Bonne Neige Val d'Isere France, Gatwick to Grenoble 14th March. Chalet La Vieille... Val d'Isere France, Gatwick to Grenoble 14th March. 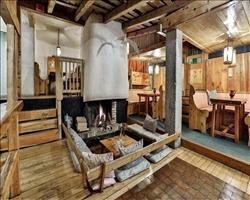 Chalet Cristal 5 Val d'Isere France, Gatwick to Lyon 14th March. 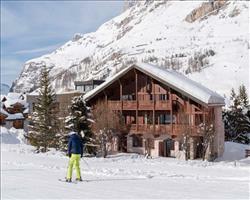 Chalet Cristal 4 Val d'Isere France, Gatwick to Lyon 14th March. 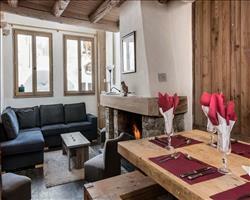 Chalet Cristal 2 Val d'Isere France, Gatwick to Lyon 14th March. 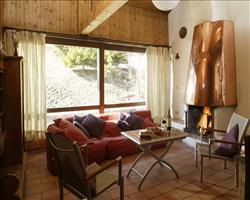 Chalet Cristal 3 Val d'Isere France, Gatwick to Lyon 14th March.